“INSPIRE” is the first in a series of lectures organised by Contemporary British Silversmiths in partnership with the Victoria and Albert Museum to commemorate and celebrate the life and work of silversmith Pamela Rawnsley (1952 – 2014). The work of sculptor Richard Long was a primary influence on Pamela Rawnsley’s uncompromising approach to her life and work. We are therefore delighted that Richard Long has agreed to speak at this inaugural event. 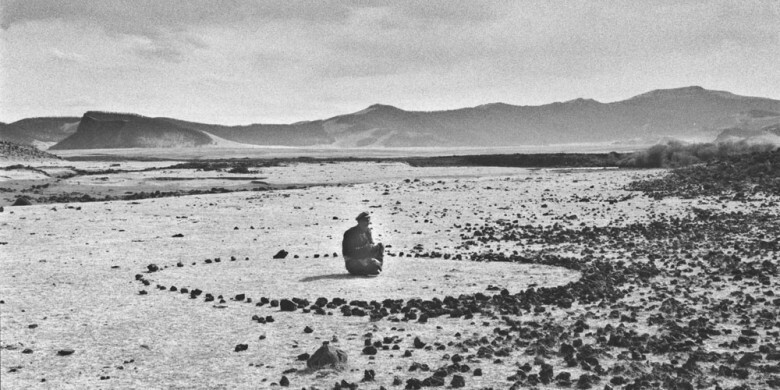 Born in Bristol, Richard Long is an internationally renowned artist who will speak about his work, which is inspired through walking in landscapes. His art focuses on mobility, lightness and freedom and the simple creative acts of walking and marking about place, locality, time, and measurement. In the gallery he uses natural found materials such as stone, driftwood and mud. He is the only artist to have been nominated for the Turner prize four times, winning in 1989. The Pamela Rawnsley Memorial Fund was created by Contemporary British Silversmiths in 2015. It is designed to inspire future generations with its annual lecture series and support innovation and creativity for silversmiths to expand their skills and promote creativity.